New beginnings are the best. 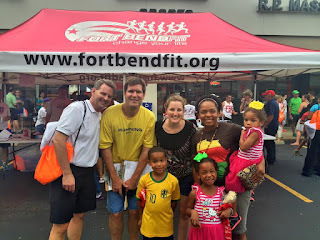 Last Saturday I started my third season with Fort Bend Fit. 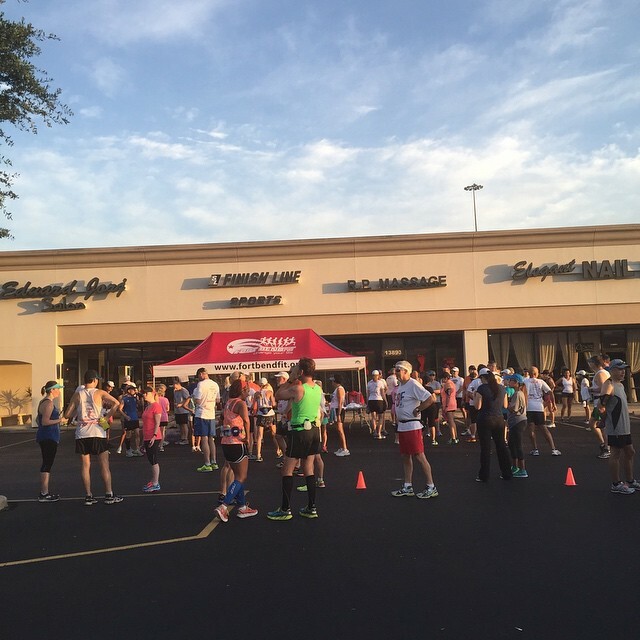 I thank God for Fort Bend Fit, they have helped me achieve my goal of running marathons injury-free. We begin training 29 weeks prior to the Chevron Houston Marathon. Our group can truly help people build their running base in order to achieve such a big goal. They also include other distances in the mix. Many people train for 5K, 10K, half marathon and everything else under and above that. For example, there is an ultra marathon happening in our neck of the wood in December and I know a couple of our members always participate. A few of our running buddies and our coach (in yellow). We've made some great friends at Fort Bend Fit. Lose the extra weight - running with less weight will greatly impact my performance and health. So far I’m doing great. You can read my 100 days of Food Journaling series for updates. I will also tell you that I believe in fueling my body well for running and life, so trust me, I’m choosing the best nutrients to do the job and I can see that the extra weight will continue to go away (forever). Fuel differently - I have trusted energy gels to fuel my first 3 marathons and I’ve done well with them. This year I will attempt to fuel my long runs with real food. While you will not see me running with a sweet potato and peanut butter, I am planning on trying real foods that contain the same amount of calories and nutrients. I know several people in the running group who eat real food during long runs. I’ll be asking a lot of questions. And please stop me if you see me running with a picnic basket. Haha! Run at least 2 races prior to the big day - we have a warm-up series prior to the marathon and I am planning on running at least 2 of the 3 races. I hope that they will be both fun and educational. Fun because I never take myself too seriously and educational because I will be able to see how my training changes are going. Speedy Cross Training - I always cross train but I have never included speed training in the mix. Partly because most people do it in the evening, which do not work for me, and partly because I honestly do not know what to do. I talked to a friend and my plan is to get started asap and just get in the habit of doing that. I am not expecting to win any prizes for this but I am expecting to see improvements in my own pace. There are more things but these are my major goals for now. I am counting on God’s help to get me through this epic year. 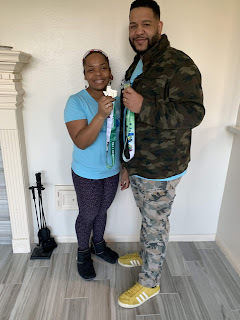 This year my husband will run his second half marathon and first Aramco Houston Half Marathon. He is fundraising for Bel Inizio, which is a charity that helps disadvantaged women develop self-confidence and life skills through fitness and nutrition. The Houston Marathon is on our wedding anniversary, which will make it for an even more epic event for us! Should we wear matching outfits? Just kidding. Well, we might. I hope you are having a great day. Happy July to you!